"The three Iraqi officers were already seated when I escorted the Central Command chief of staff into the tent. The air was hot and oppressive—it would get hotter when tempers on both sides flared later during the meeting. The meeting had been requested by the Iraqis to discuss their declaration that they intended to move their fighter aircraft from dispersal and secondary fields back to their main bases. The Iraqi delegation consisted of two general officers and their interpreter—a familiar face I had not seen for well over two years—Major Majid Al-Hilawi of the Iraqi armed forces Directorate of Military Intelligence. To say I was stunned to see him would be an understatement—he seemed equally shocked. I was relieved to see that he had survived the war, since I knew that the Iraqi military intelligence headquarters compound had been bombed and severely damaged during the air war. In fact, I knew that the specific wing of the building that housed his office, where I had often sat with him, had been virtually destroyed. Today we were sitting on opposite sides of the negotiating table, now enemies. In an earlier chapter in Iraqi-U.S. relations, we were colleagues. Actually, more than colleagues—we were friends." Ally to Adversary – An Eyewitness Account of Iraq’s Fall From Grace tells the story of U.S. policy toward Iraq from the final year of the Iran-Iraq War through the end of the Persian Gulf War as seen through the eyes of a military officer intimately involved in the execution of that policy. In the late 1980’s, the U.S. Department of Defense entered a cooperative relationship with the Iraqi Ministry of Defense. Rick Francona was one of the officers tasked with going to Baghdad to work with the Iraqi armed forces. 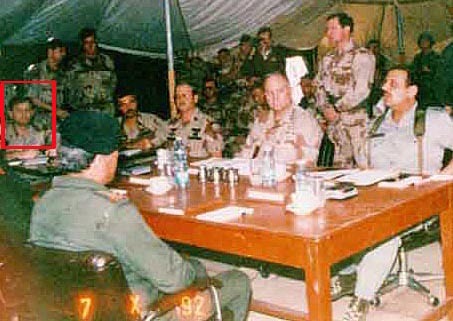 During the course of his duties, he was exposed to senior Iraqi military officers and operations. 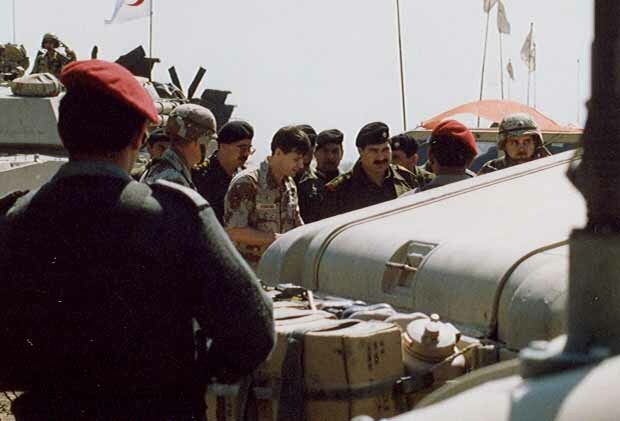 This unique insight into Iraqi military operations, including the use of missile and chemical weapons, was to shape his key role in the U.S.-led Desert Storm coalition fighting Iraq three years later. 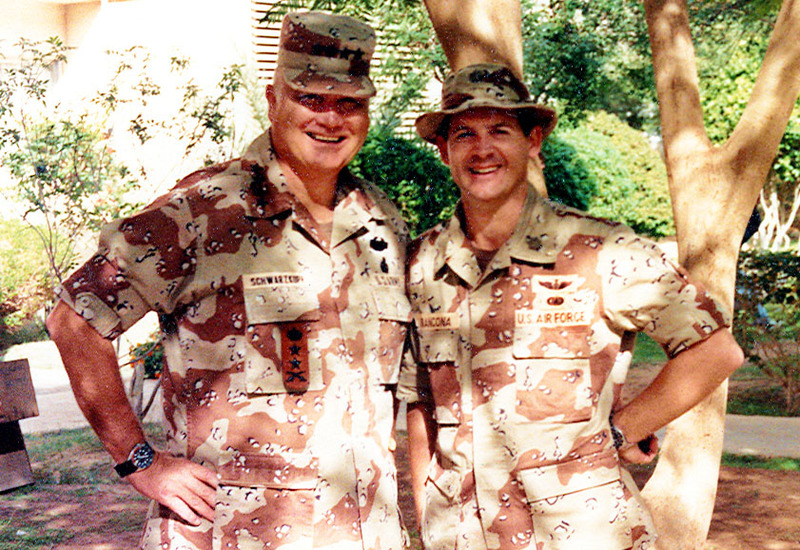 A fluent Arabic speaker with extensive experience in the Middle East, Francona was selected to serve as General “Stormin’ Norman” Schwarzkopf’s interpreter. In Ally to Adversary, he relates his experiences in dealing with the Saudis and other members of the coalition, culminating in the ceasefire talks with the Iraqis. It was at a dusty airfield in U.S.-occupied southern Iraq where he came face-to-face with his past dealings with the same Iraqi officers he had worked with three years earlier. While Desert Storm was for many a war against a faceless enemy, for Rick Francona it was a war against friends and former colleagues. Click here to read the portions of the book on Google Books.